The last Iranian elections were held in June 2013, and for once it seemed that there could be a real change for the better that would see Iran begin to drag itself from the failing state it was in. But no, a year on and Iran continues on the downward spiral that it has been on for many years now. In June 2013 Iran voted in a new President in what was a landslide victory with Hassan Rouhani receiving 50.88% of the votes in the first round of voting (The second place only received 16.46% of the votes). Rouhani was reported as being a “reformer”, a man who could rebuild a failing economy while building bridges with the West, but in Iran things are never so simple. Unlike other republics where the elected leader is the person in power, in the Islamic Republic of Iran the elected president is only second in command. 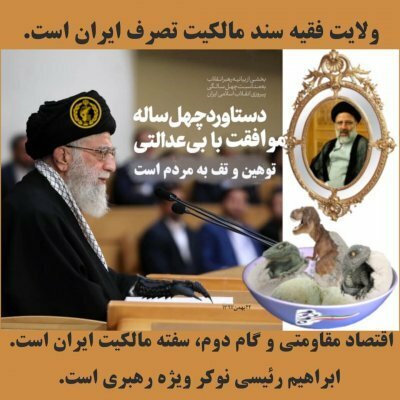 The most powerful man is the Supreme Leader, and since 1989 this has been Ali Khamenei,a man who has stated before that he doesn’t believe fully in democracy and that “no one has the right to legislate…except…the Divine Leader”. So having been in power since 1989 how likely was it that he would allow a true “reformer” to become president, and in a landslide victory at that, could Rouhani really be the man to rebuild a broken Iran? One year on from his “democratic” election Rouhani has made no great difference to Iran, after all it is still Khamenei and his cronies who hold the true power above him. Over the last 12 months unemployment has continued to rise (now well into the double figures), inflation is increasing at such a rapid pace that regular Iranian’s are struggling more and more just to feed themselves. This led to the idea of giving out free food parcels from the Government, an idea that was designed to help normal Iranians saw them degraded and reduced to fighting in the street over free loaves of bread. The scenes of chaos were widely derided across social media and Iran was once again reduced to a laughing stock as a result of poor governmental decisions. Another seemingly crazy move was the suggestion of moving the capital city away from Tehran. Over its history Iran has had 32 different capital cities so moving from Tehran (its capital for the last 220 years or so) is not so strange if you take in Iran’s long history, however it is the reason for this proposed move which is perhaps the craziest. Apparently Tehran is now too overcrowded, polluted and congested, so rather than try to fix some of these problems Rouhani it seems would rather simply move away and Govern from somewhere “nicer”, leaving the people of Tehran to live and survive in an overcrowded, polluted and congested city. Why should they bother trying to fix its capital or economy, try to help the starving or poor who are now reduced to fighting for free food baskets when that money could be spent on its Space program or nuclear ambitions. So one year on from the “democratic” elections of 2013 what has really changed? To understand this one should really look backwards, because there are several reoccurring patterns since 1979 which help to show how Iran is in the social and political mess that it now finds itself in. The main problem is that the idea of a truly democratic state just does not exist in Iran. It is the Supreme Leader Ali Khamenei who ultimately holds the power, and has held this position since 1989. However he was no stranger to power as before 1989 he himself served as President of Iran from 1981 to 1989. When one man has held so much power for so long can democracy stand any chance of challenging him or his long serving cronies who believe they have the divine right to rule. Before Rouhani there have been three other Presidents to serve under Khamenei, and with each one new promises and a new hope for change, yet they have had no effect on the general direction Iran finds itself heading. The buying of votes, the rigging of elections or other general claims of corruption are par for the course when it comes to an election in Iran, it is highly unlikely that Iranians have ever had the opportunity to vote in a free and fair election since 1979. The election of Rouhani was once again expertly stage managed by Khamenei in order to get the person he wanted to be elected as his puppet president as he has in past elections. But what does it matter who is “elected” to be the Iranian president? 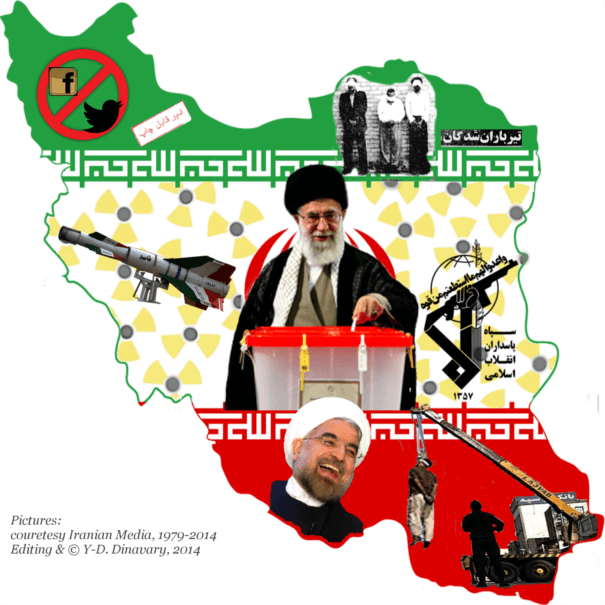 It is Khamenei who holds the true power over Iran. He has ultimate control over foreign policy, the army, the police, nuclear policy, and as it appears to be the case, control over all Iranian elections. Whoever is “Elected” president ultimately holds no power. Until the people of Iran finally make a stand against this corrupt system which is running the country into the ground, Khamenei and his like will continue to follow their own twisted agendas at any cost.